Bromine Tablets, Granular Bromine, Bromine Test Strips, Granular Chlorine, Spa Shock, Alkalinity Increaser, PH up and down, Clarifier, Hardness Increaser, Filter Cleaner, Defoamer, Nature 2 Mineral Stick Cartridge, Mineral Out, Jet Cleaner, floating brominators, Filbur filters, fragrances. etc. 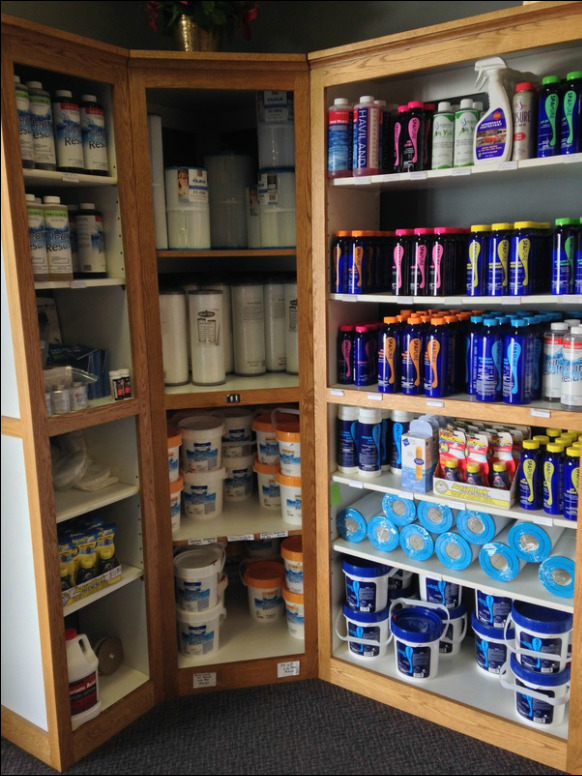 We carry a variety of quality pool and spa chemicals. so you have crystal clear water.